Since starting my blog many of my favorite fashion bloggers who inspired me to start blogging have turned pro. It has made me think about the future of my own blog and where I want it to be in a years time. I have had times when my blog took a back seat. There was one moment when I was working a full time office job, a weekend store job and interning in the evenings. I had little time for a social life let alone time to blog, but somehow, I've made it though without a hiatus. I know some bloggers have said blogging hasn't changed much over the last few years but I would have to disagree. Since I started blogging I've seen a dramatic change in how bloggers are viewed in the media, how they have worked with brands and how social media has adapted to this idea of everyone having the opportunity and potential to be a blogger. So what am I doing new to celebrate Sarah Loves turning 2? Sarah Loves Facebook Page. I know what you're all thinking: I already have a Facebook page! Well yes, my illustration work did but I've now decided I think my blog to benefit from one too. Please feel free to check it out here. Banner Advertising. Some blogs work really well with a bit of advertising and quite honestly I don't think it distracts that much from the content of a blog, so long as its done right of course. Today I decided to set up banner advertising on my blog to start in January 2013. I hope you aren't put off by the ads, I promise to only advertise brands I would shop with and blogs I actually follow (or have just discovered and am now going to follow). You can find out about advertising on Sarah Loves here. Up and coming blog to follow links. The one thing I love about blogging is anyone can do it so long as they have the drive and the passion. I really do believe there should be more encouragement out there for first time bloggers from the more established. Not so long ago I came along a blog who featured a blogger every so often who had under 100 followers. I've been inspired by this and so from now on at the end of my "Sarah Loves Moments" posts I'm going to add a new blogger to follow suggestion and a link to their blog. Now here comes the oh-so-bashful Oscar speech: I would like to thank my wonderful readers who have kept my blog alive by commenting such lovely things, letting me know what posts you have enjoyed, by following on all the different social platforms and most importantly thank you for giving me the encouragement to continue blogging. That's fantastic! Happy birthday to your blog! Although I know you for a short time, It's great to know a good blogger continues her blog over the years cause that's what really fascinates her, making the best. Hope your blog gets older and older. Yey!!!! Congrats!!!! Love your blog! 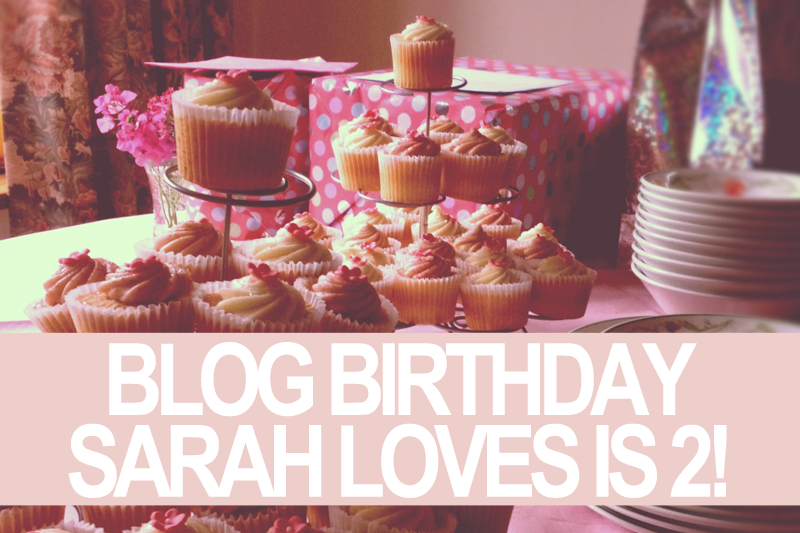 Happy 2nd blog birthday, Sarah! I totally agree with everything you said. Most of the bloggers I know started in Chictopia and they just sky rocketed to where they are now. Excited to be with you in whatever direction your blog takes. 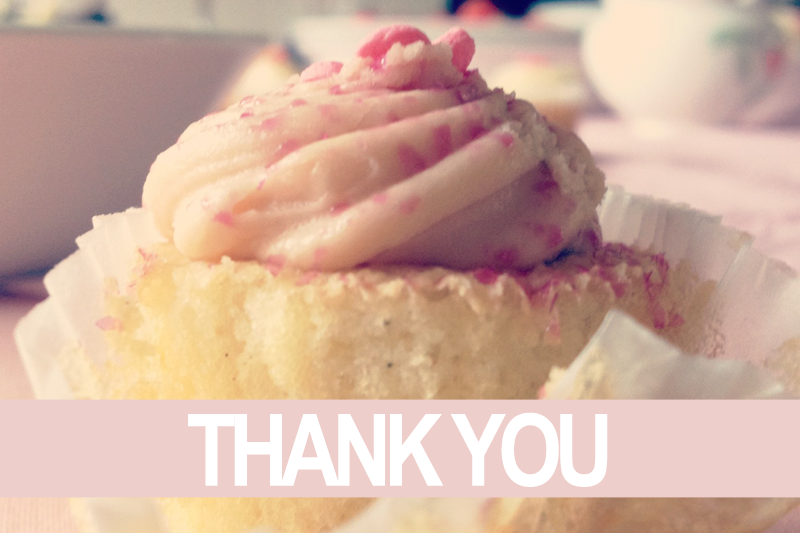 Awwww this was lovely to read, happy birthday blog! !